Milo (aka Captain America) is over the moon about them. 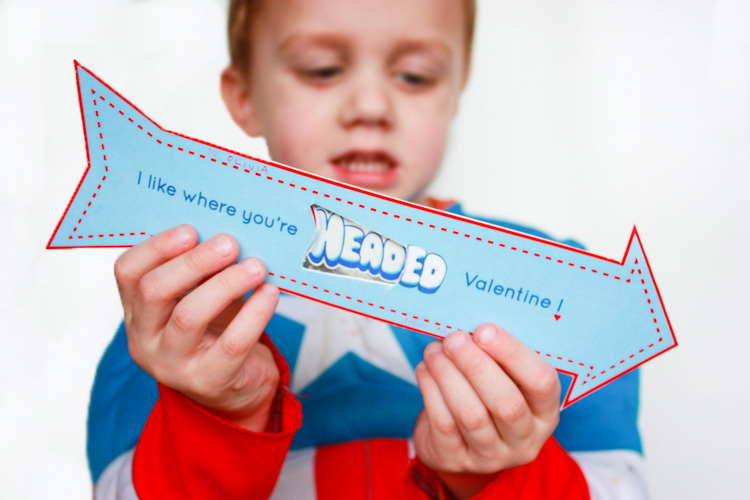 “It’s like a bow and arrow, mom!” Now we’re all ready for the big day. 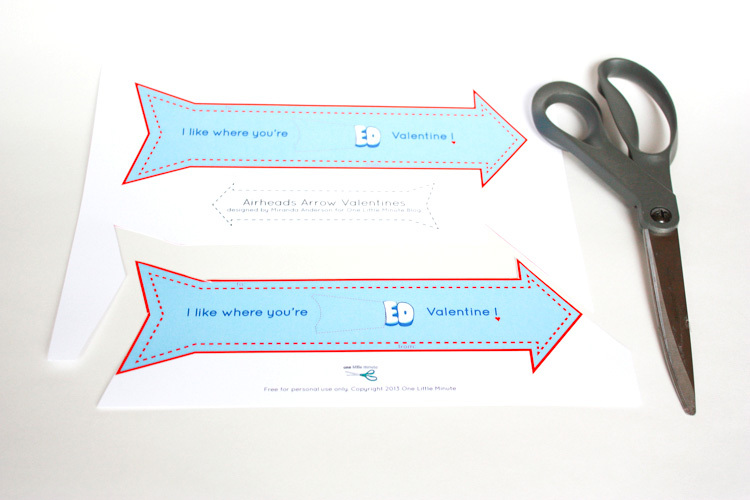 I thought some of you might also be looking for a last-minute solution for your kids’ valentines, so I’m sharing the free printable PDF and a full tutorial below. Enjoy! 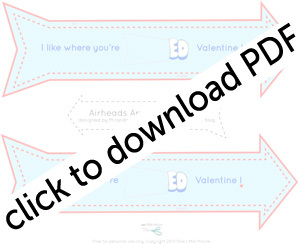 The PDF includes 2 valentines per page, so keep that in mind as you print! I printed on white cardstock for a nicer feel, but regular printer paper will work just fine, too. 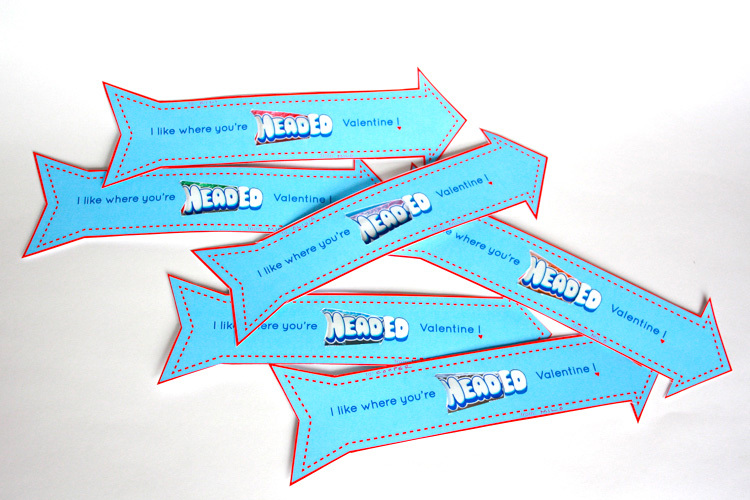 You’ll also need to round up some scissors, tape, a pen, and one Airheads candy for each valentine. 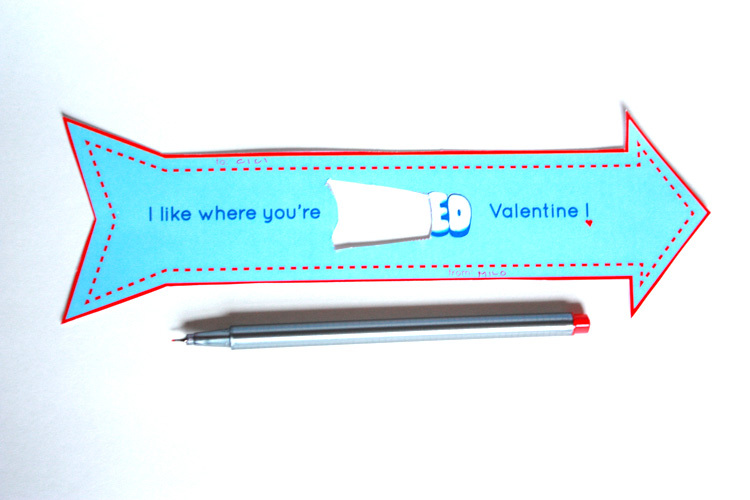 Cut around each arrow on the outside of the red line. The lines are all straight, so it’s pretty simple cutting. 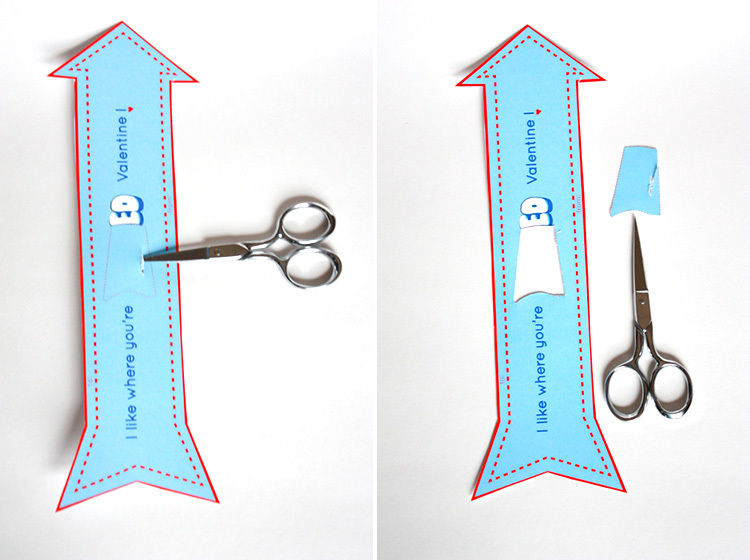 To cut the hole from the center of the arrow, use the point of a small pair of scissors to poke through the middle of the paper, then carefully cut around the dotted line. 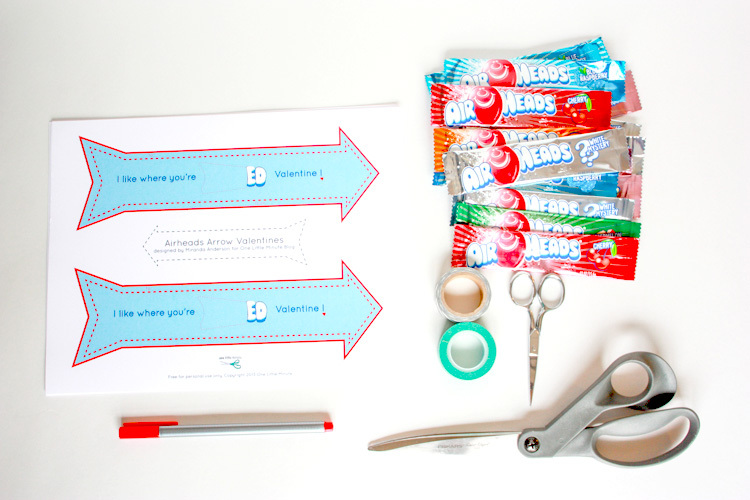 Before attaching the candy, write the names of the recipient and giver next to the “to:” and “from:” I did this after cutting, but you could do it very first, too if you want. 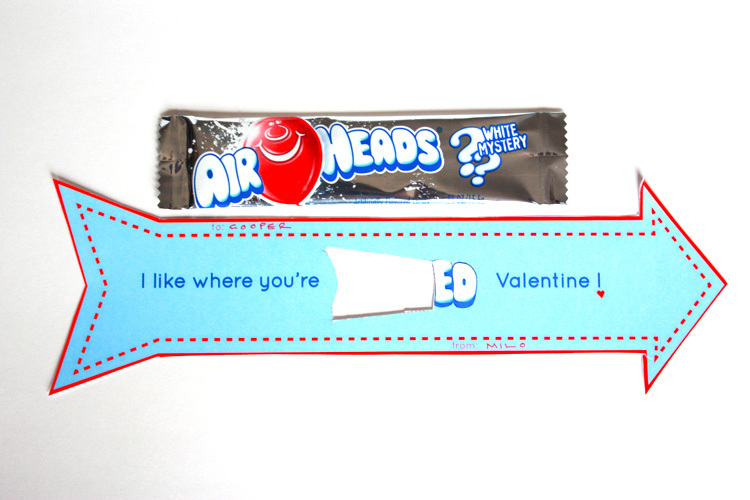 Grab one Airheads candy. White Mystery is my favorite! 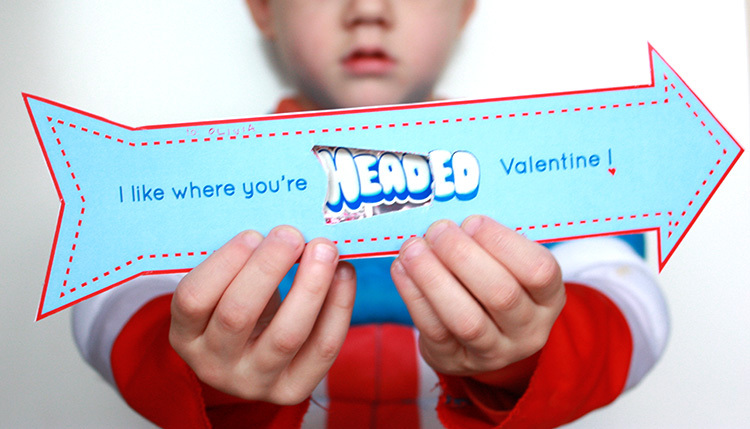 Place the candy behind the arrow and line up the label so the word reads “HEADED”. 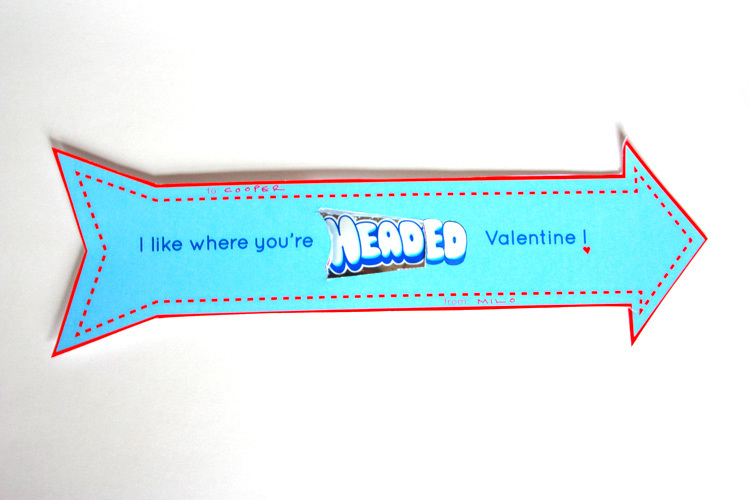 Holding the candy in place, flip the valentine over and attach the candy with a strip of tape. 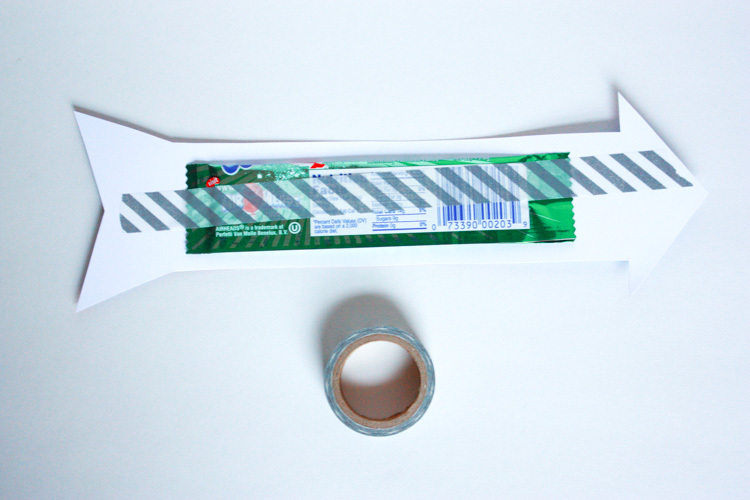 Washi is cute, but any tape will work! Now just repeat, repeat, repeat for all the kids in the class! 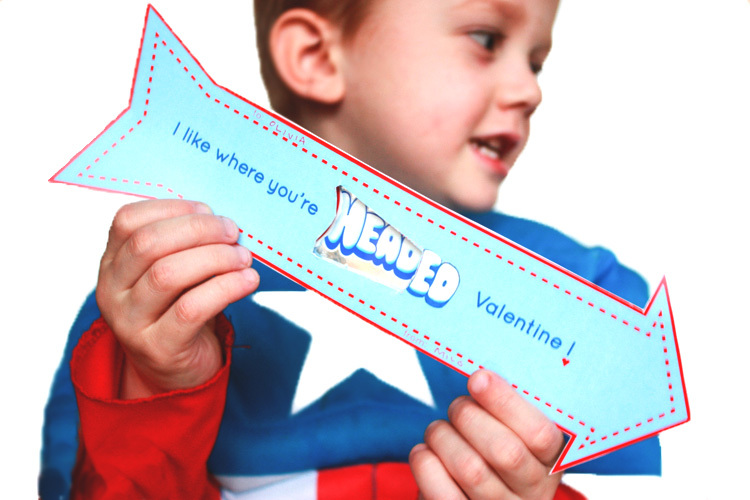 I can’t wait for Milo to hand out his valentines this year! He’s growing up so fast, and I sure like where he’s headed.